A 7-episode series, ‘Full Tight’ is a heartfelt yet realistic take on the youth directed by Shriprasad Pawar and produced by Vijay Barse. 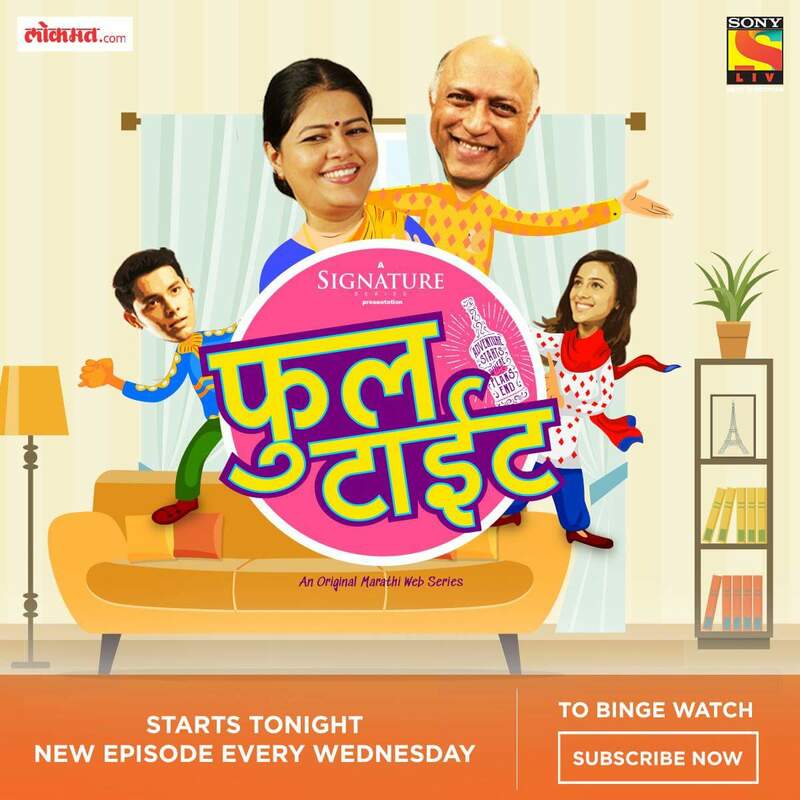 The web-series stars popular faces like Yatin Karyekar and Sneha Raikar along with Akshay Kelkar, Sayli Salunkhe, Vanashree Joshi and Sumukhi Pendse. ‘Full Tight’ touches upon the concepts of friendship, romance, and parenthood with a comical undertone. The story revolves around Adi (Akshay Kelkar) and his weird encounters with his parents (Yatin Karyekar and Sneha Raikar) in what looks like a perfect family setting. All goes well until one evening the father and the son bond over alcohol and all hell breaks loose. Full Tight is the second Marathi offering by SonyLIV after ‘YOLO- You Only Live Once’. The show will release a new episode every Wednesday and will also be available with English subtitles on the platform. Lokmat.com is the media partner for series.